Sous Vide is a method of cooking using a water bath to get the exact temperature you desire to cook your food (or in this case drink) to. Traditional cooking methods let heat flow from a burner onto a pan, or the heating elements in a cooker heat the air around your food. Because the air in the oven and the metal in the pan are much hotter than you want your food to be, you’ve got to take it away from the heat at just the right time. If you take it off too early or too late and your food is either over- or under cooked. However when you cook with water, instead of an oven or a pan, we can raise the temperature just enough to get the food to the exact temperatures we like. You can take it out as soon as it’s done cooking, or let it rest in the water until you are ready to eat. You can purchase tools such as immersion circulators or a Sous Vide Supreme bath as they do make the process faster and easier. However they aren’t necessary if you’re just looking to experiment a little at home. All you really need is a digital thermometer and some Ziploc plastic bags, and you’re good to go. Keeping the water temperature set will be a little tricky as you will be battling against losing heat from the sides however if you keep it within a degree or two of the goal temperature then you’re doing great! STEP 1: PREPARE A WATER BATH. Fill a large pot with water. Leave enough room at the top so that the water won’t overflow once you add your bag of infusions. 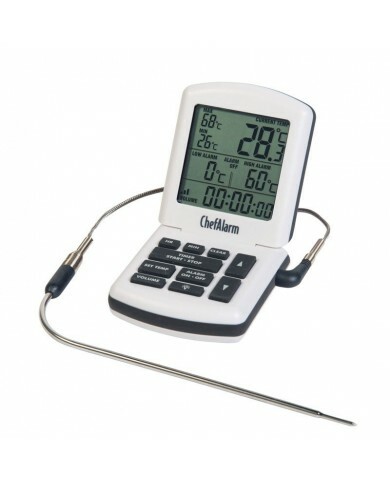 There are a few different styles of thermometers we would recommend. They will all work beautifully but can help in different ways! 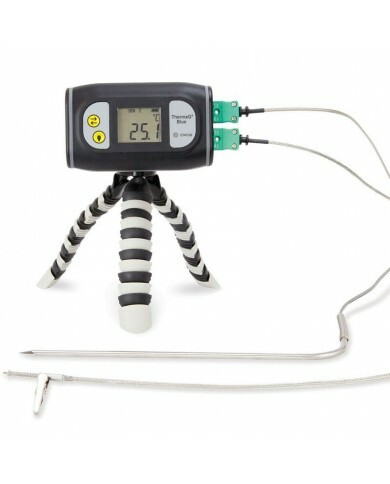 If you are only occasionally experimenting with infused alcohol then we would suggest using our SuperFast Thermapen® 4 – this way you can also have a super handy kitchen gadget for baking, cooking and BBQ’s. Our SuperFast Thermapen® 4 is ideal for reading the water bath temperature (in just 3 seconds) however you cannot leave it in the water. We would recommend testing the water every 20 minutes or so just to keep an eye on it! However if you are going to be creating the infused liquor on a larger or more regular scale then we would recommend our ThermaQ® with high/low audible alarm (lets you know when the temperature reaches a minimum or maximum). You could even use our ThermaQ® Blue and have your smart phone let you know the ongoing temperature, PLUS it will also log the readings for you! 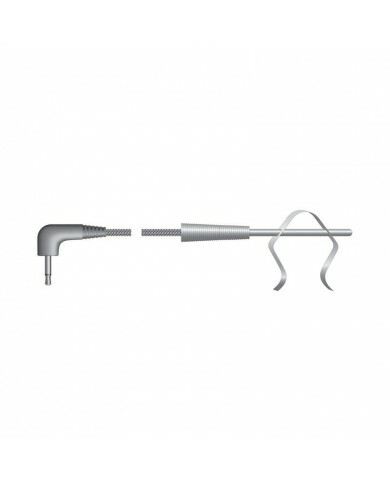 Both the ThermaQ® and ThermaQ® Blue are available with interchangeable probes which can be left in the water bath. STEP 3: HEAT THE WATER. Turn your burner to medium-low, and heat the water until it reaches your desired cooking temperature. We suggest around 47⁰C. Adjust the burner as necessary to maintain a steady cooking temperature. STEP 4: PLACE YOUR INGREDIENTS IN A ZIPLOCK BAG. Now you need to pop all your ingredients to infuse along with the gin into a large and sturdy ziplock bag. Using the water displacement method will get you a good seal. Slowly lower the bag into the water while still open at the top – the water pressure should push air out of the bag. Hang the top of the bag over the edge of the pot and zit it up! Now simply let the water bath do its job for two hours. We suggest keeping an eye on the temperature using your chosen thermometer. Take the bag out of the water bath and set aside to cool completely. Strain the gin through using a muslin cloth and throw away the cooked fruit of flowers. To serve, place a generous helping of crushed ice into your favourite gin glass. Add 50ml of your infused gin to each glass and mix well. Then fill up the glass with your choice of mixer, for example lemonade or tonic water. Finish with a sprig of your chosen herb or slice of fruit. We hope you enjoy experimenting with the Sous Vide method and making lots of delicious infused liquors!